Relics recovered after having been looted by so-called Islamic State (IS) have gone on display in a new museum in Basra, housed in a palace once owned by former Iraqi president Saddam Hussein. During its occupation of most of Iraq, IS raided historical sites on what UNESCO called "an industrial scale" and used the loot to fund its operations through a smuggling network extending through the Middle East and beyond. The 160 relics recovered largely date back to the Assyrian era and were mostly recovered from neighbouring Jordan and the United States. IS made a public show of destroying many artefacts and ancient buildings as idolatrous, while secretly benefiting from the illicit trade in historical goods. Video that went viral after it was released by IS in 2014 showed militants using bulldozers and drills to tear down murals and statues at the 3,000-year-old Assyrian site of Nimrud near Mosul. What they did not destroy, they smuggled and traded. In 2017, the World Customs Organisation (WCO) said customs officers recovered more than 14,000 items looted worldwide, including antiquities, paintings and statues. 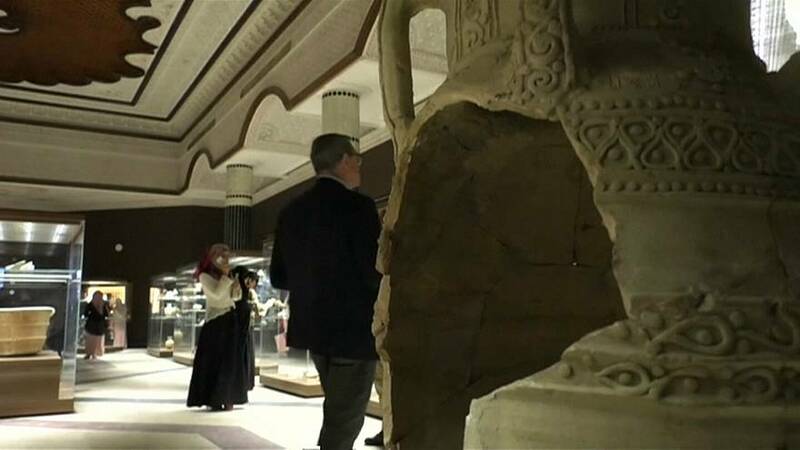 The new museum, which was inaugurated on March 19, aims to preserve the archaeological and historical heritage of Basra and other Iraqi cities, under the supervision of Friends of Basra Museum, a charity supported by the British Council. The city's previous museum was closed in the wake of the 1991 Gulf War, and most of its contents stolen. The refurbishment was financed in part by a £30 million (€35,243,550) British Council fund for preserving at-risk heritage in areas of conflict, and through donations from various British oil and investment corporations. One visitor to the museum, Basra resident Ritha Al-Hakim, said: "This is a happy day for me and for the Iraqi people as well, because Iraq is the cradle of civilisations."